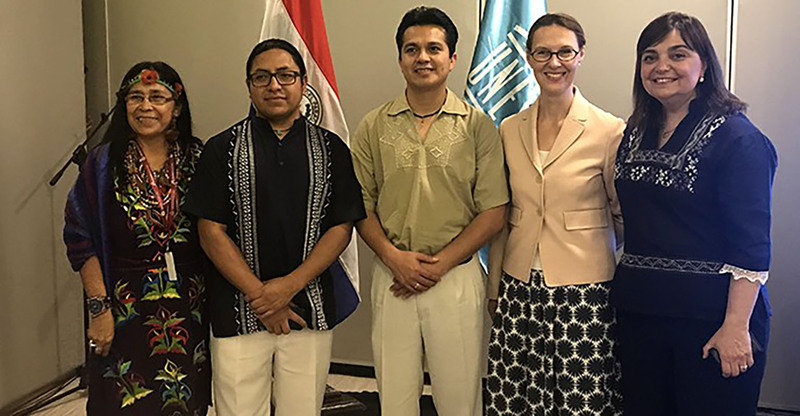 On 3 July 2018, the International Seminar “Empowerment of speakers of the local language, communities and nations” was opened in Asunción, Paraguay. The opening session was attended by high-level representatives of the national and regional authorities, and UNESCO representative, who jointly acknowledged the importance of languages for creating truly inclusive societies for all citizens. Taking advantage of the results of the International Conference on Multilingualism in Cyberspace, organized in November 2015 by UNESCO in San José, Costa Rica, the regional gathering in Paraguay provided an open space for elaboration of a set of concrete recommendations for the regional partners’ involvement in the organization of the 2019 International Year of Indigenous Languages and development of the UNESCO World Atlas of Languages. Establishment of National Committees for the celebration of the International Year of Indigenous Languages. Establishment of Regional Monitoring and Cooperation Mechanisms. Establishment of a budget to safeguard and strengthen indigenous languages. Promote strategies to strengthen interculturality that contribute to combat linguistic and cultural discrimination. Strengthening of indigenous languages presence on the cyberspace. Declaration of the International Decade on Indigenous Languages 2020-2030. IFAP), national and regional language harmonization and documentation organizations, research and higher education institutions, civil society, particularly organizations of indigenous peoples in Paraguay and Latin America and Caribbean, as well as with the support of the Permanent Delegation and the National Commission of Paraguay for UNESCO.